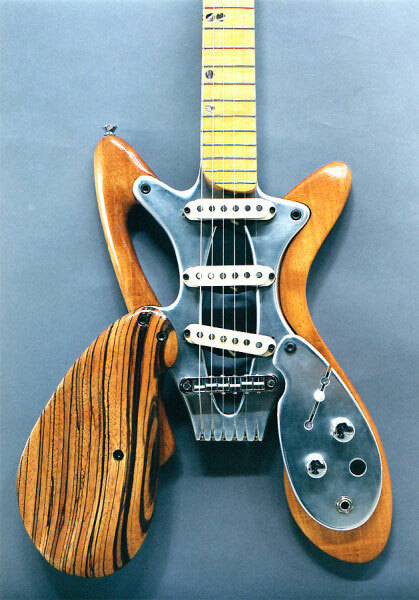 The hybrid concept arose from my desire to reduce the guitar to its essentials and to create a modular system which would allow the easy exchange of all parts. 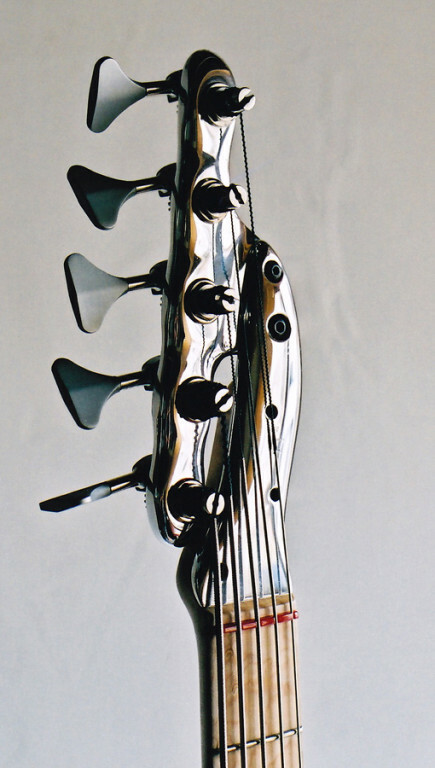 This would enable the musician to tailor-make an instrument and to easily reconfigure it. 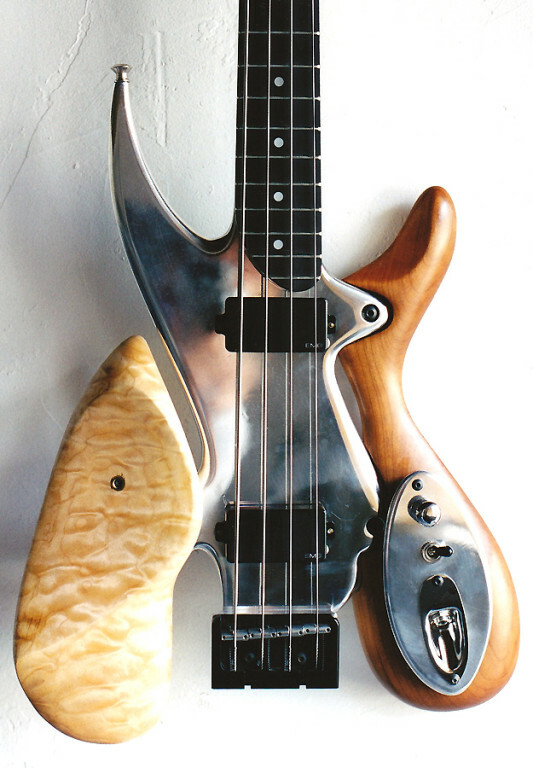 I also wanted to take advantage of aluminum as material (stability, tonal clarity and sustain). 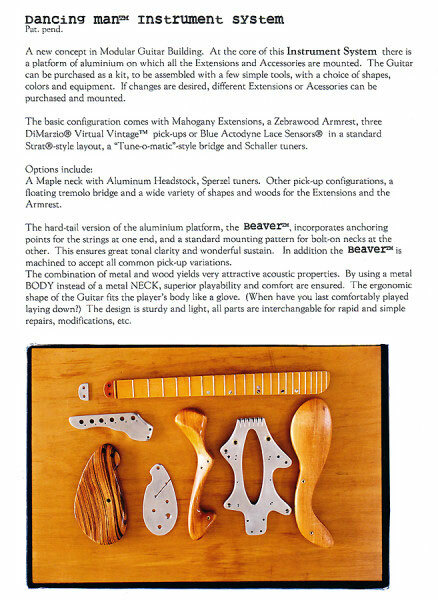 Aluminum as neck material has proven to be problematic, and I felt it was important to retain the comfort and feel of a wooden neck. 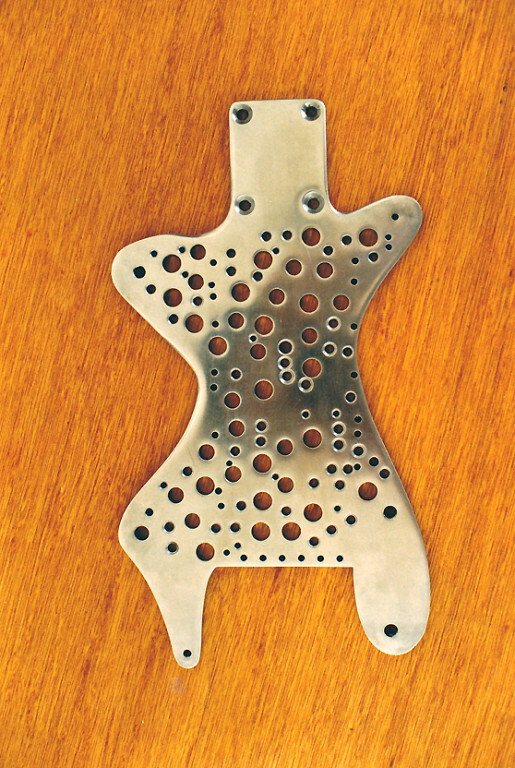 This led to the design based around the central mounting plate ("body"), to which all the other parts are bolted. 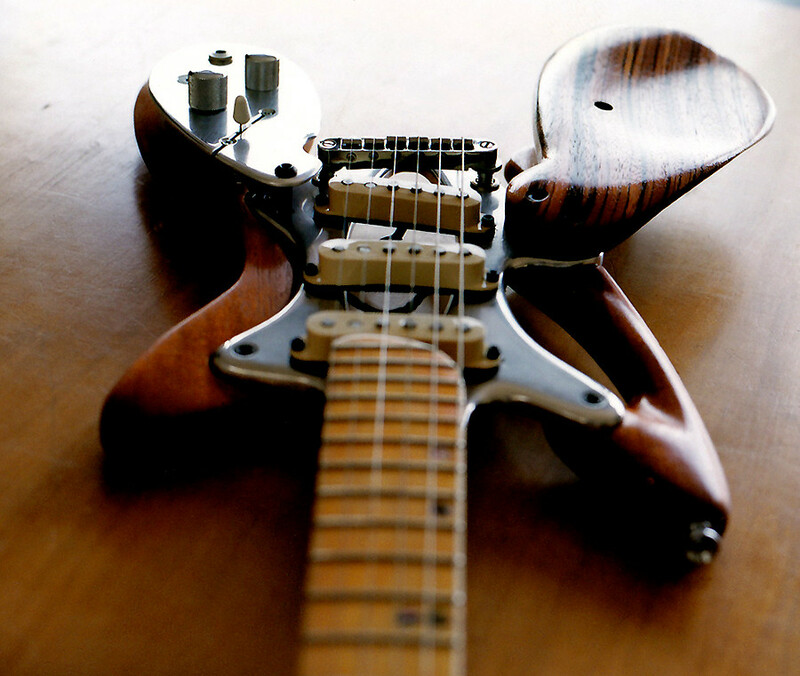 I started to make a few guitars, experimenting with various parameters. 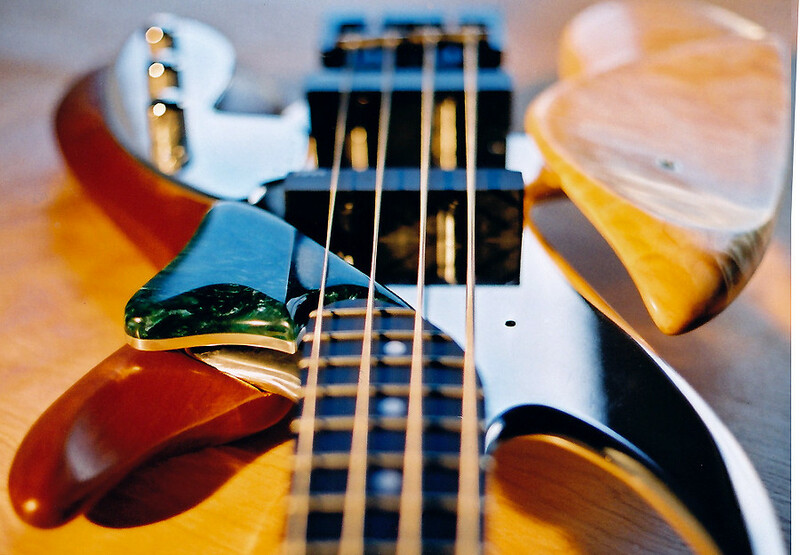 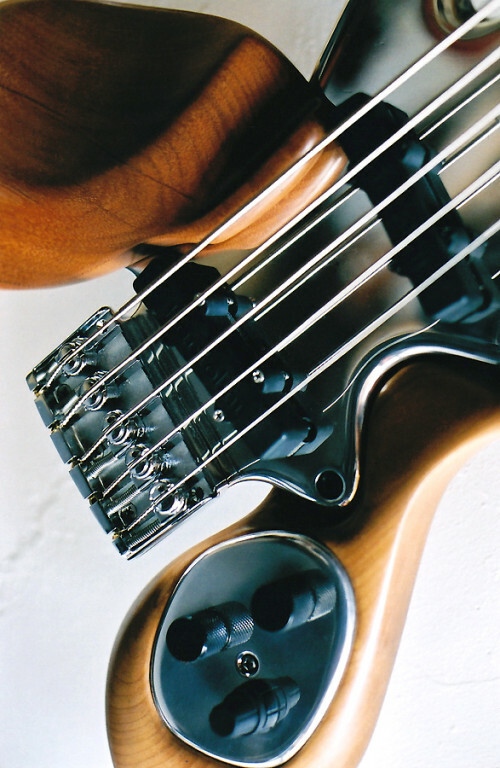 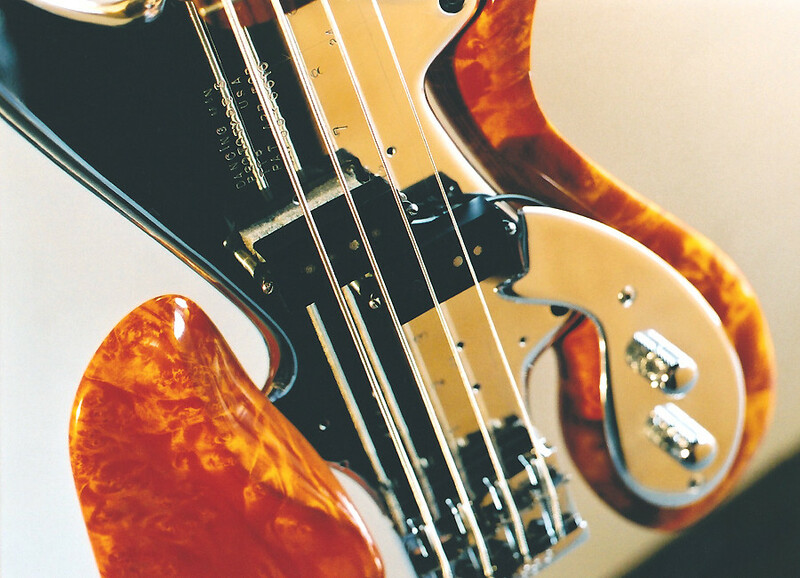 The low end on these instruments had a wonderful warm clear tone, and, since the initial response from guitarists was rather lukewarm, I decided to apply this concept to a bass - figuring also (correctly, as it turned out) that bassists would be a little less conventionally inclined than guitarists. 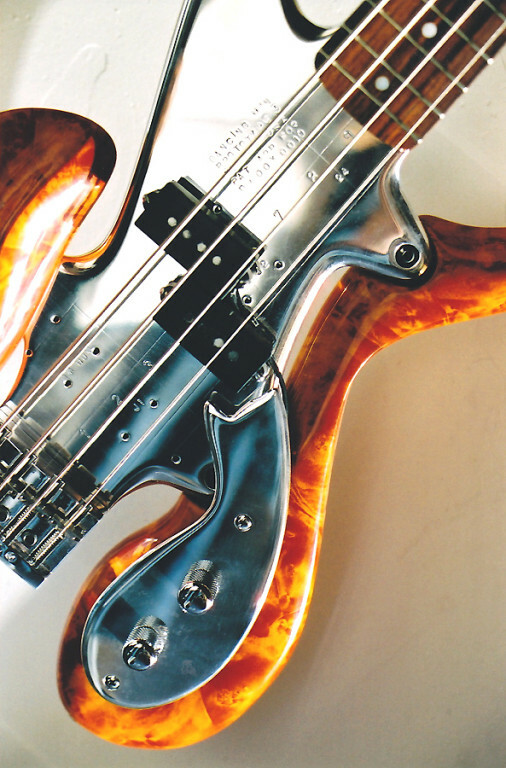 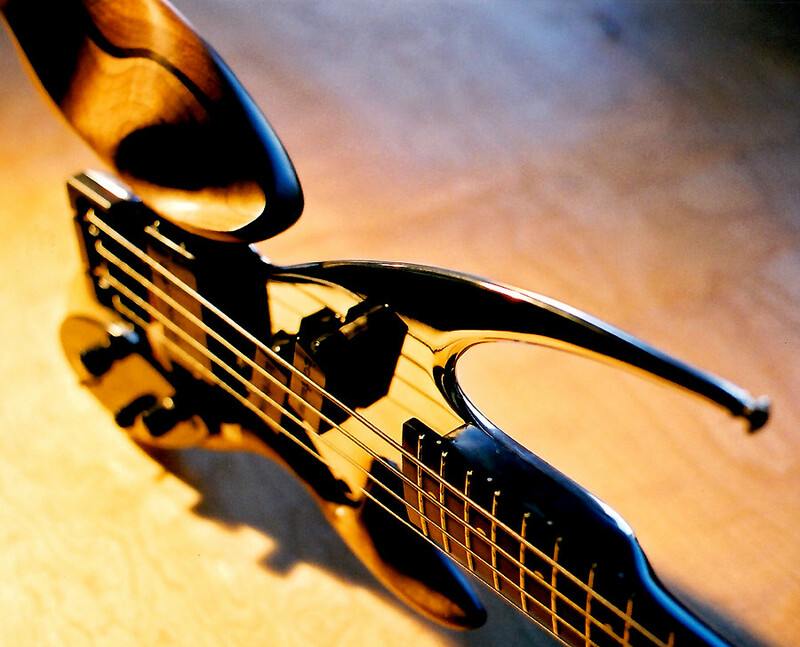 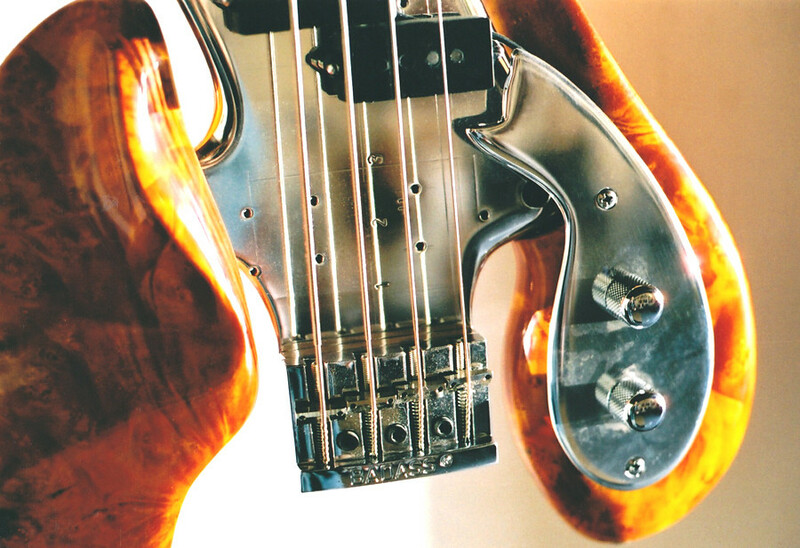 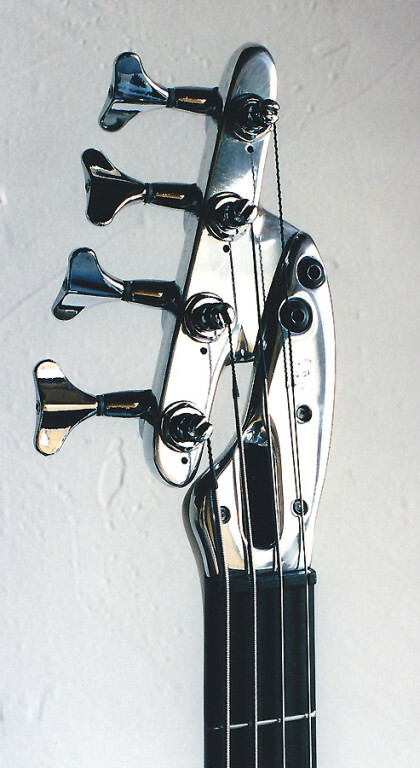 I then started to make basses using the "Spaltbass" trademark. 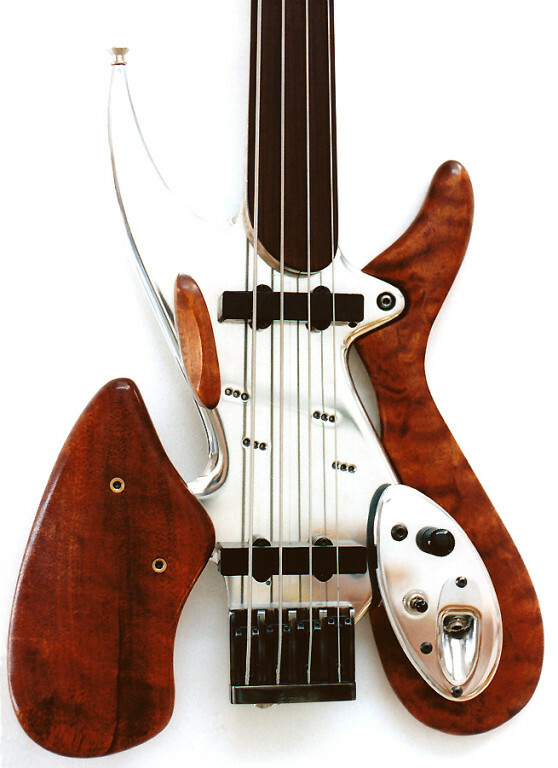 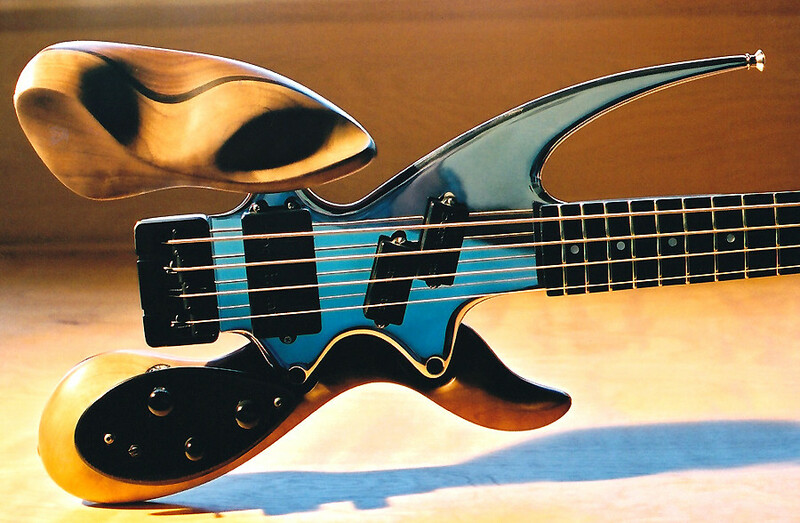 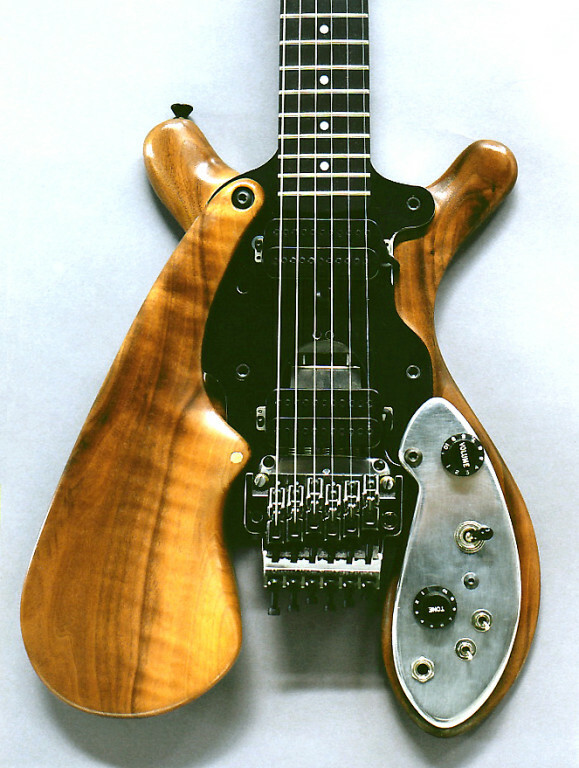 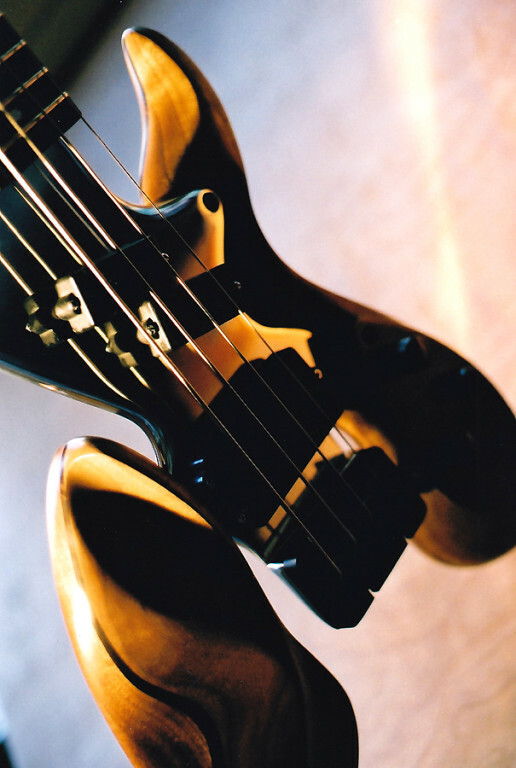 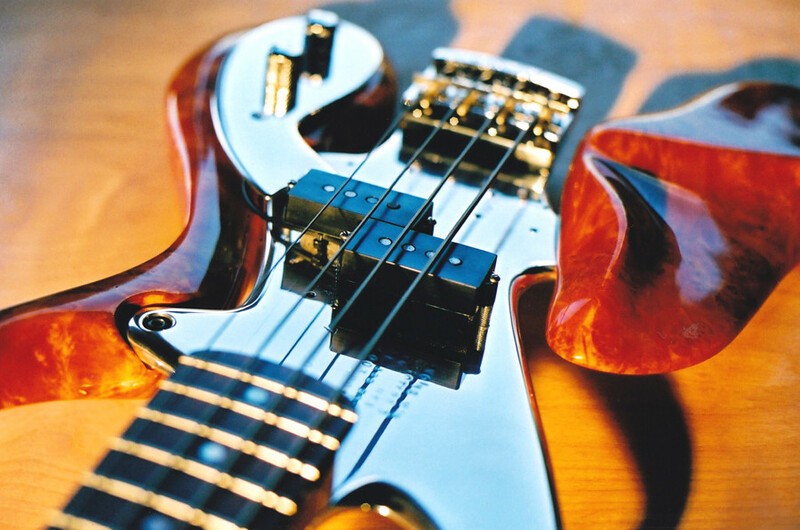 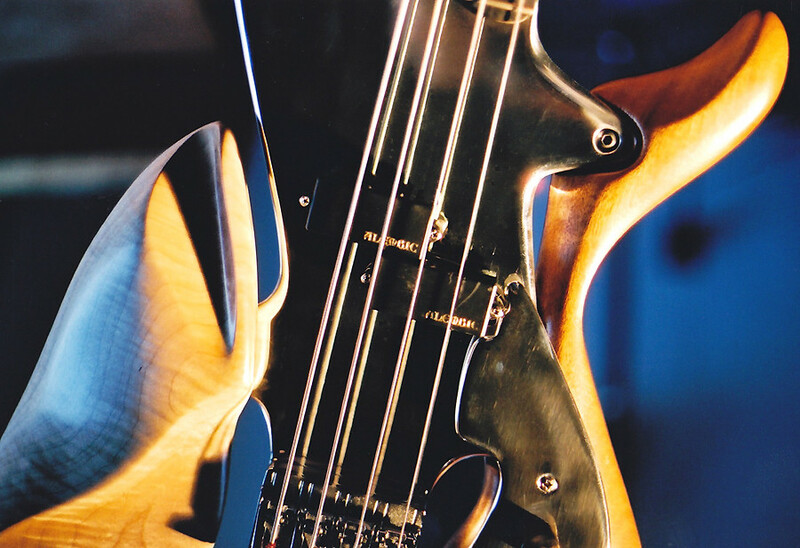 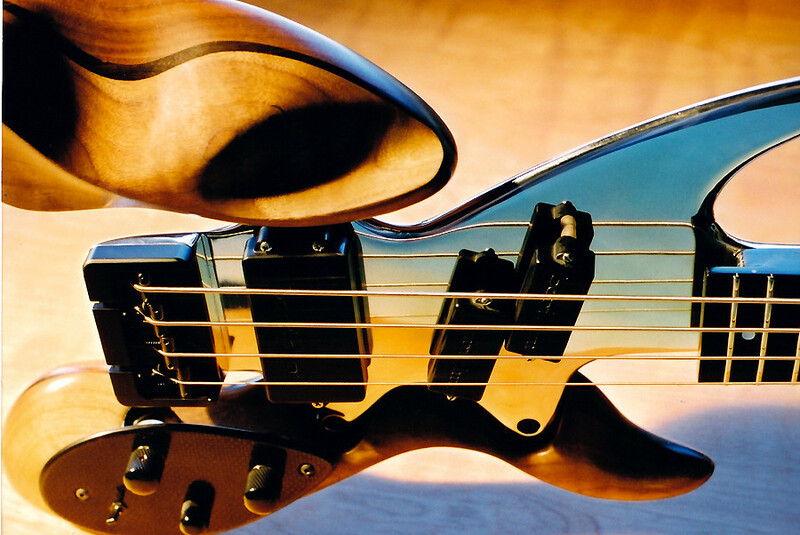 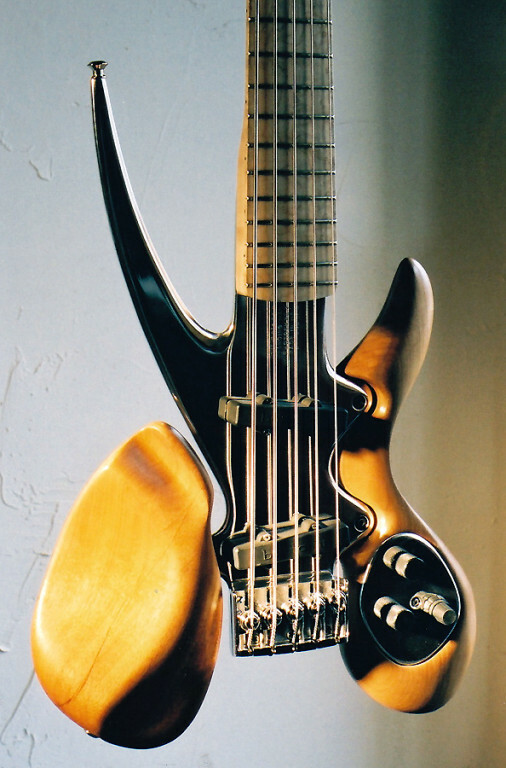 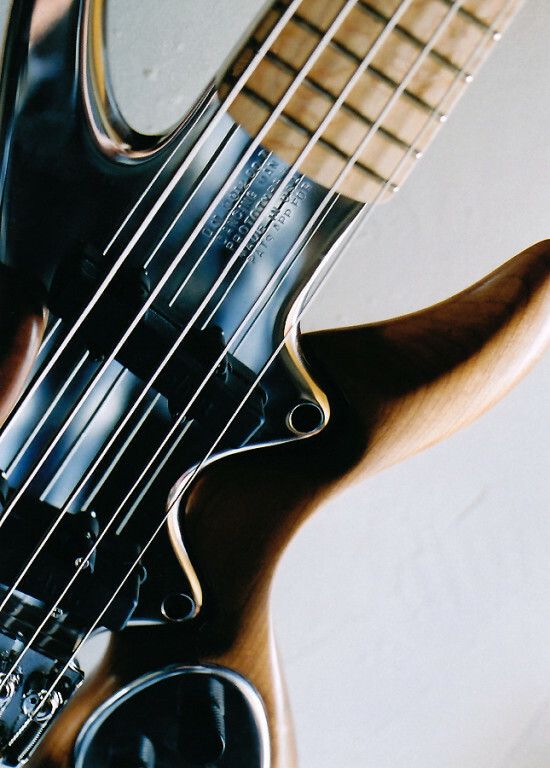 The line developed quickly, with 4-string matrix basses and 5-string Terminator basses in various wood and electronics configurations. 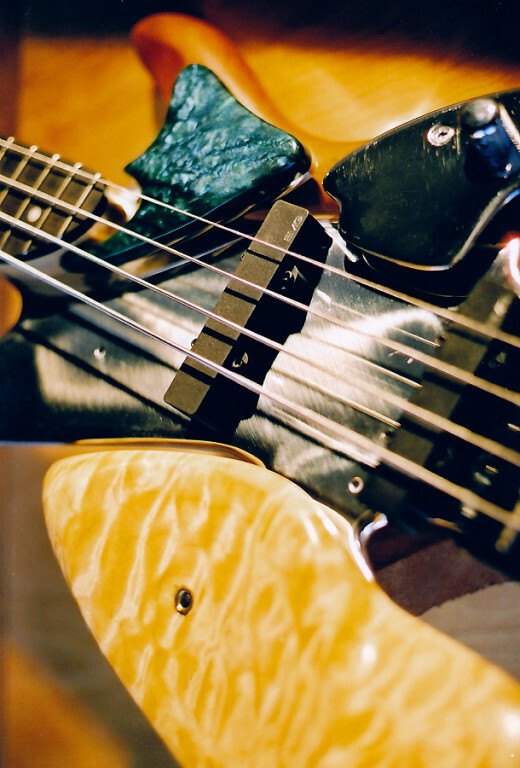 When I met Chris Willcox from LightWave pickups it expanded to include the LightWave powered magmas. 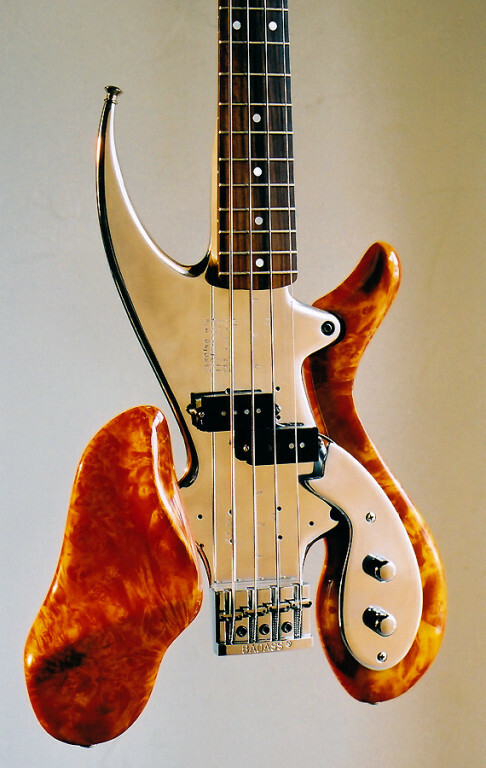 For some years I focussed on building hybrid basses exclusively. 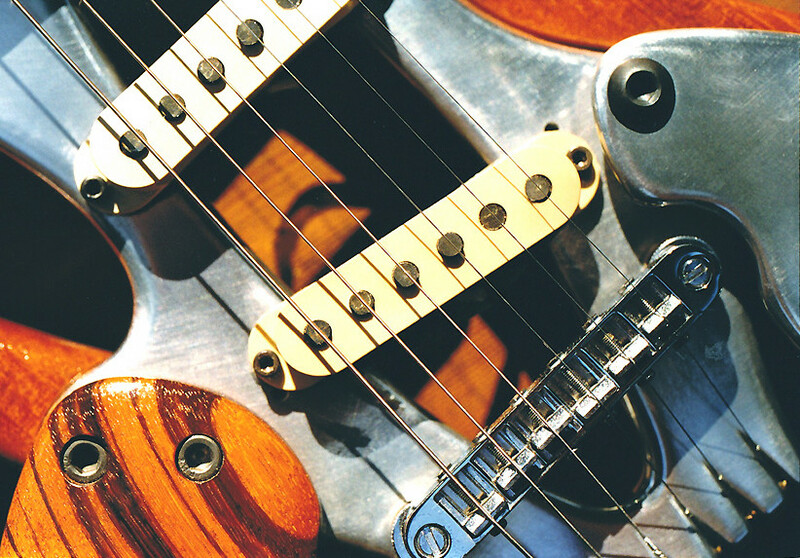 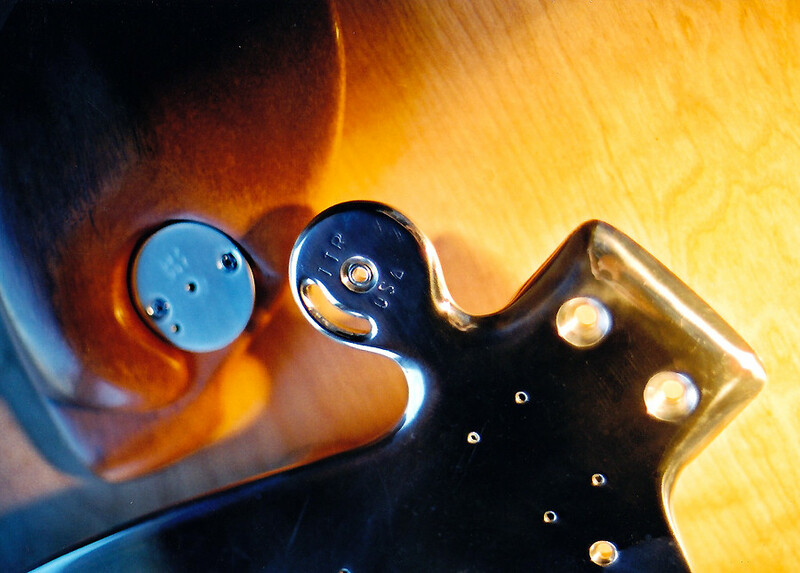 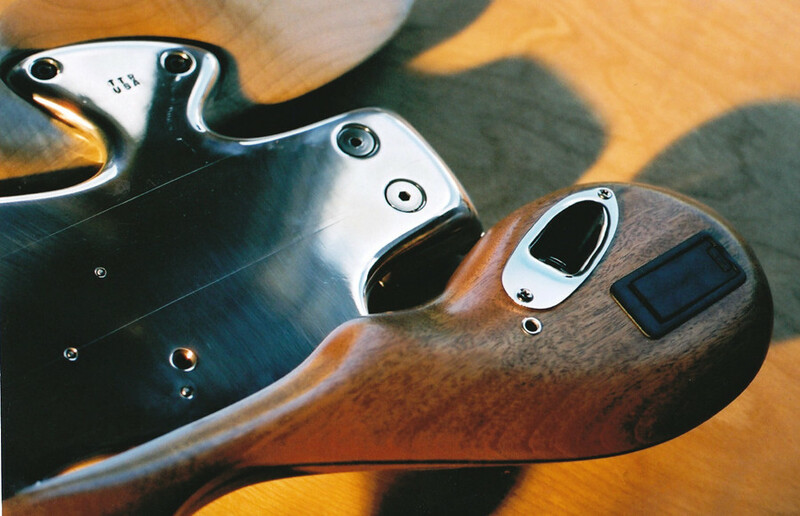 We presented a collection at the 2002 NAMM show. 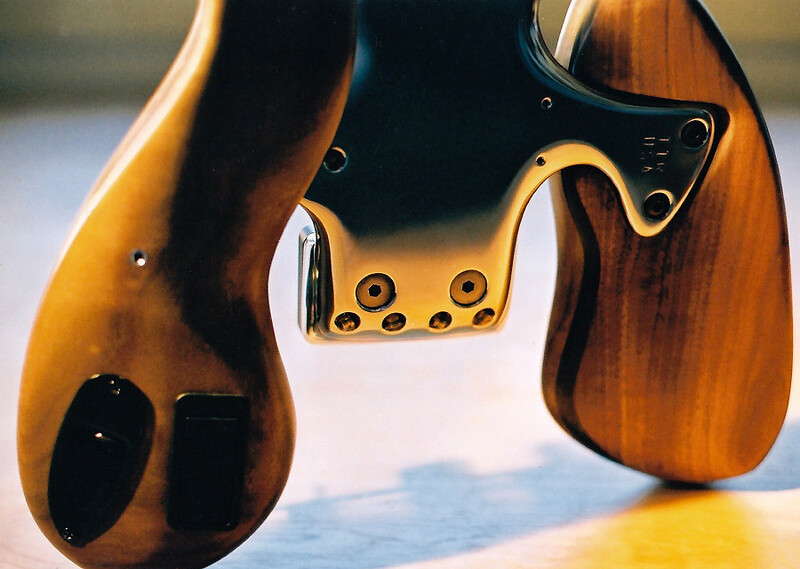 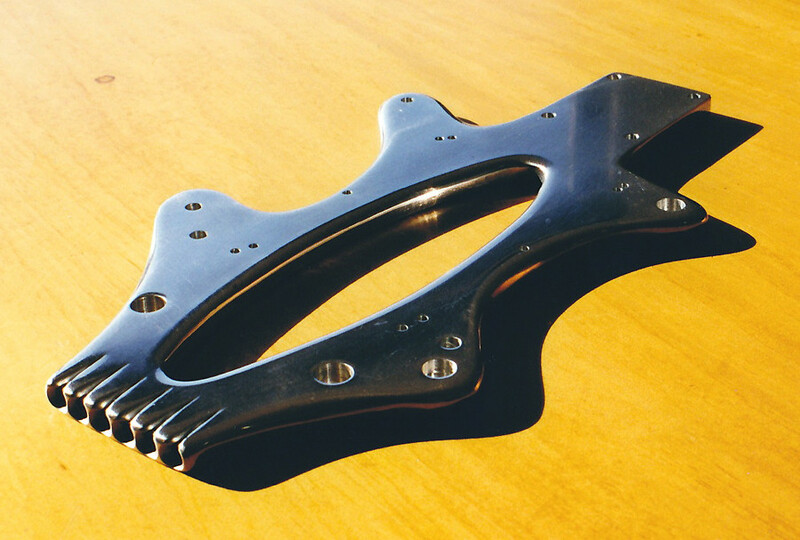 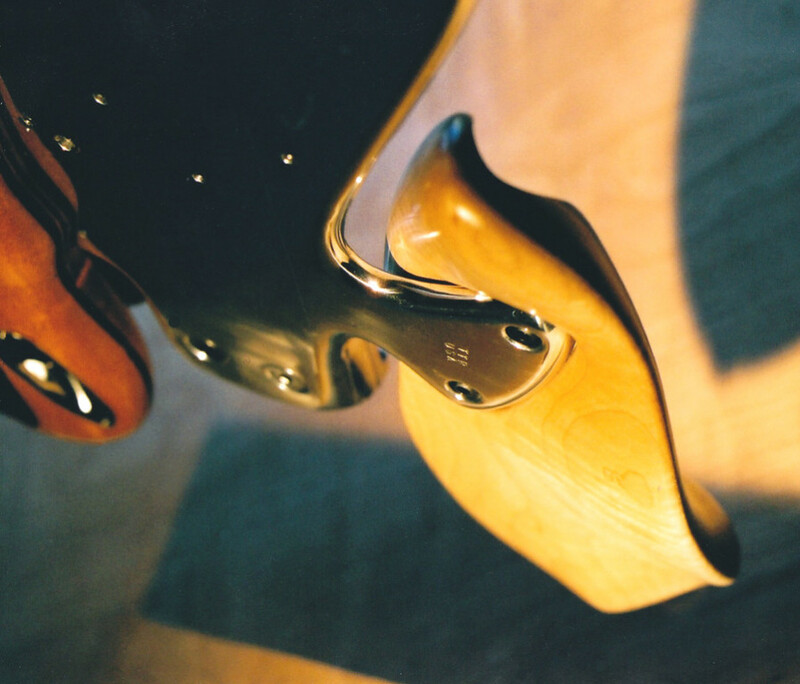 It was only when the basses caught on that I finally received an order for a guitar - by this time the modular concept was sidelined, and the design of the apex guitar line reflected the know-how gained through the building of basses. 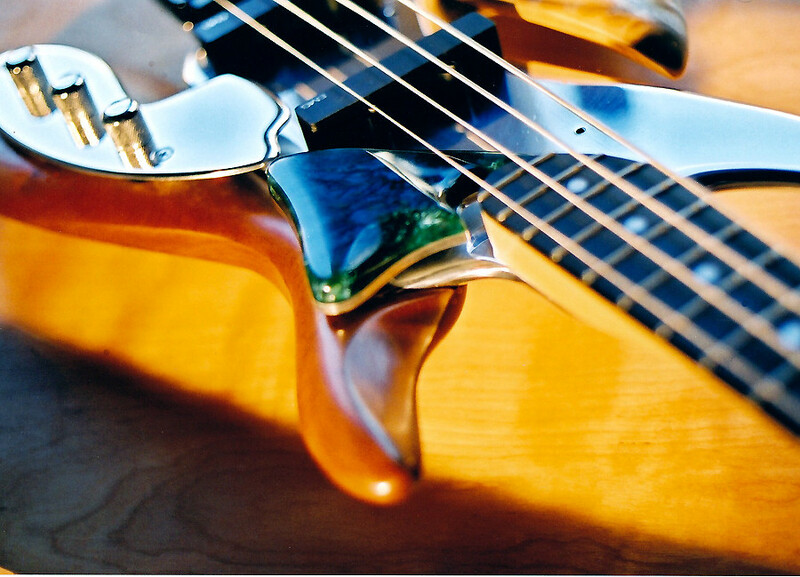 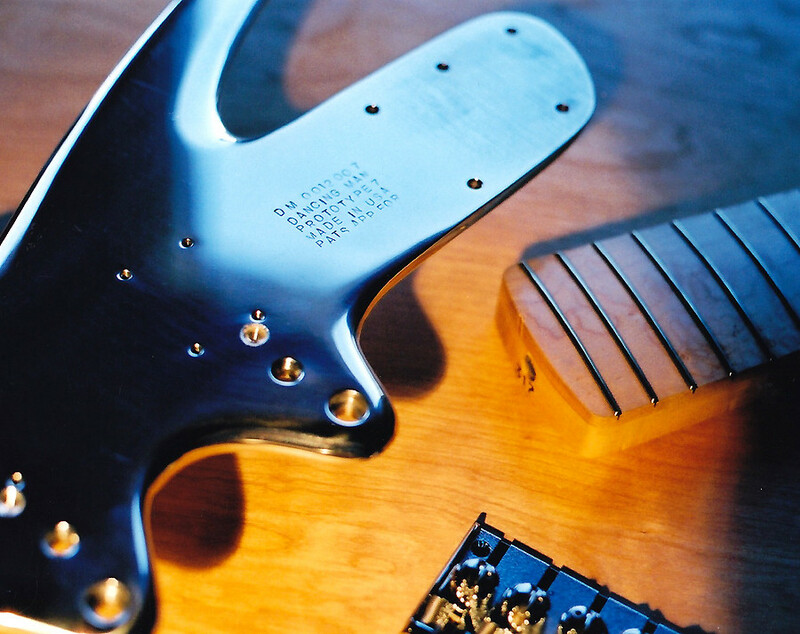 The idea that metal has to sound cold and brittle is deeply ingrained, it seems - the inherently clear and warm tone of the aluminum surprises most people at first. 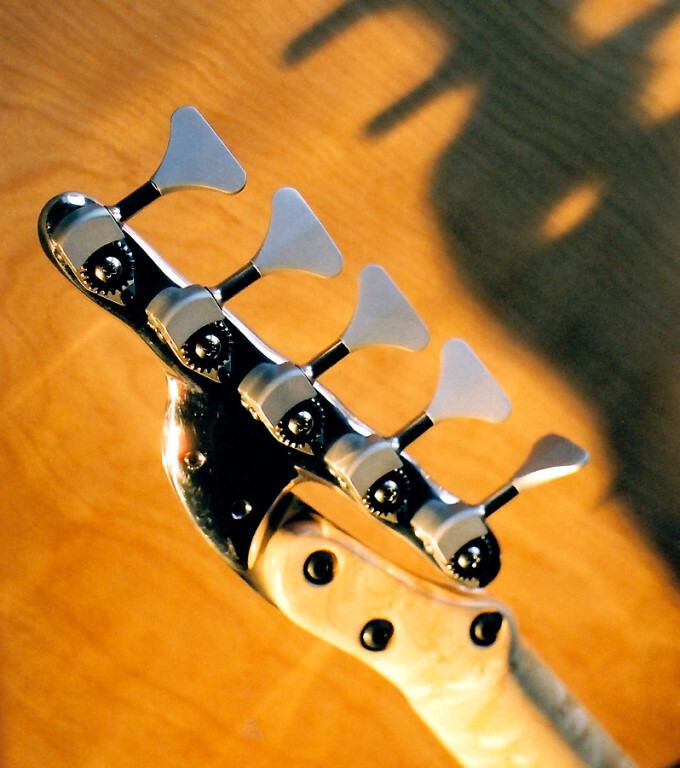 The neck provides (just as in a conventional instrument) a lot of the tonal coloration. 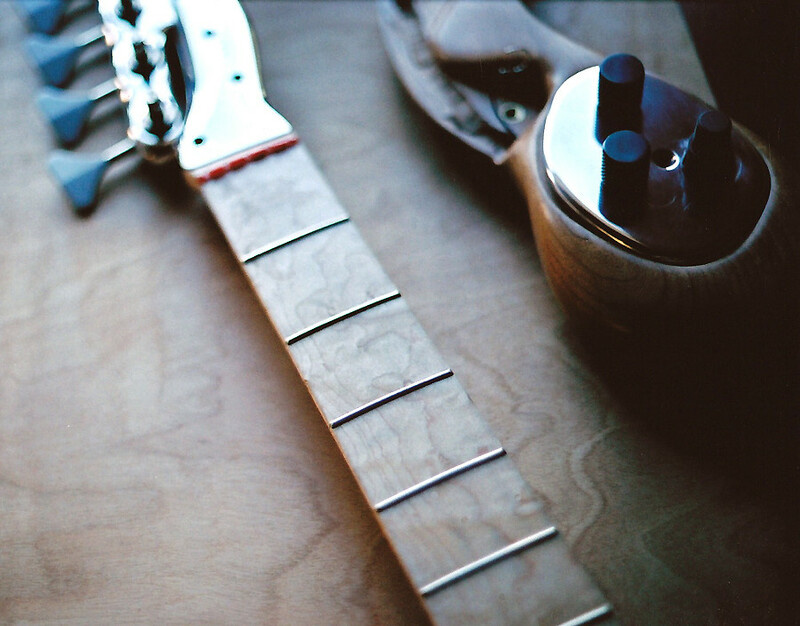 Combining various neck and fingerboard woods, in conjunction with a choice of pickup types and bridge designs, allows me to tailor the sound. 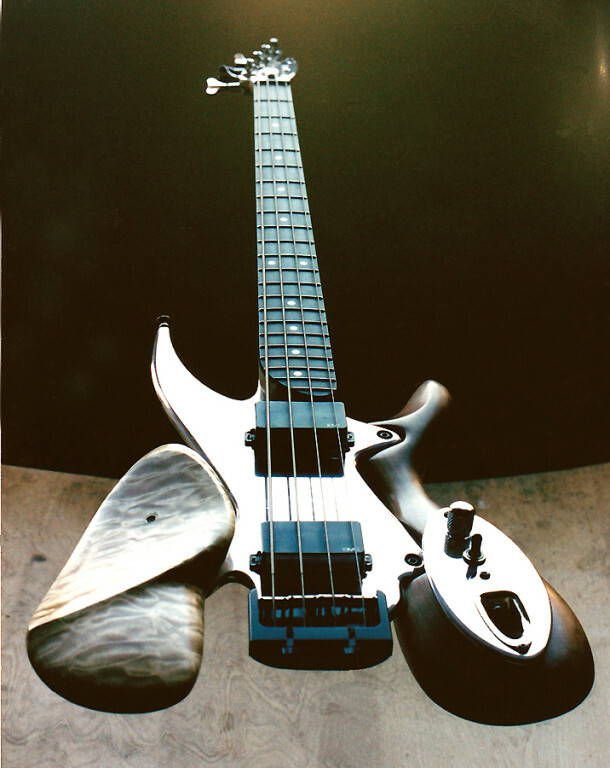 The tonal impact of the "body wings" is minimal. 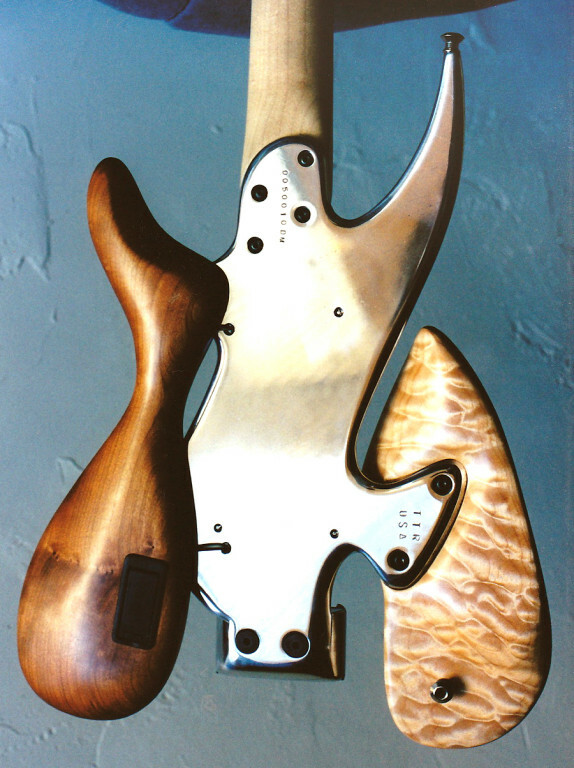 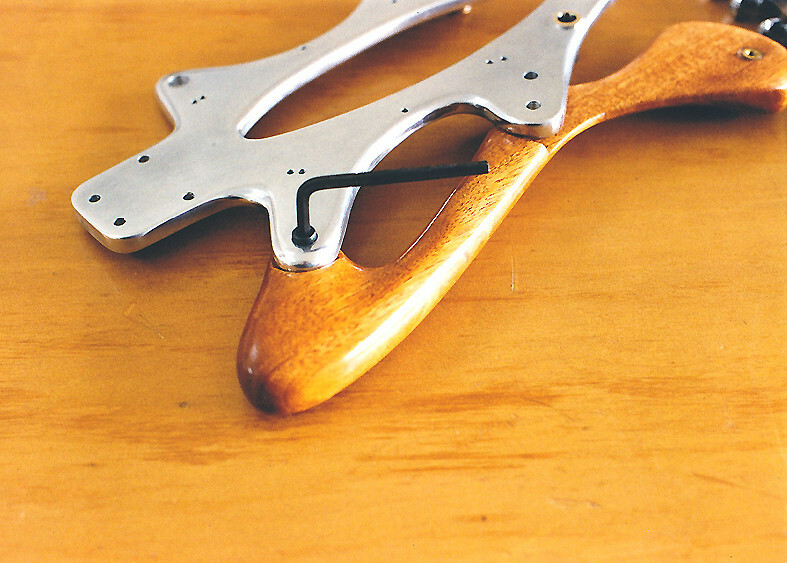 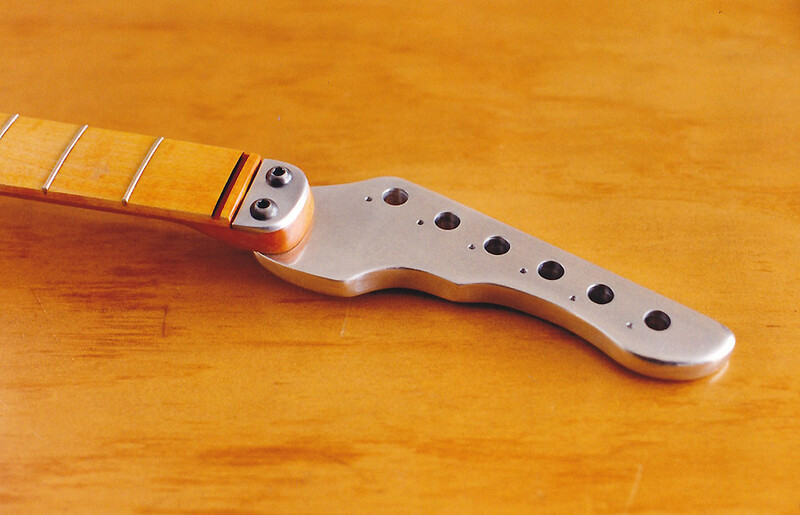 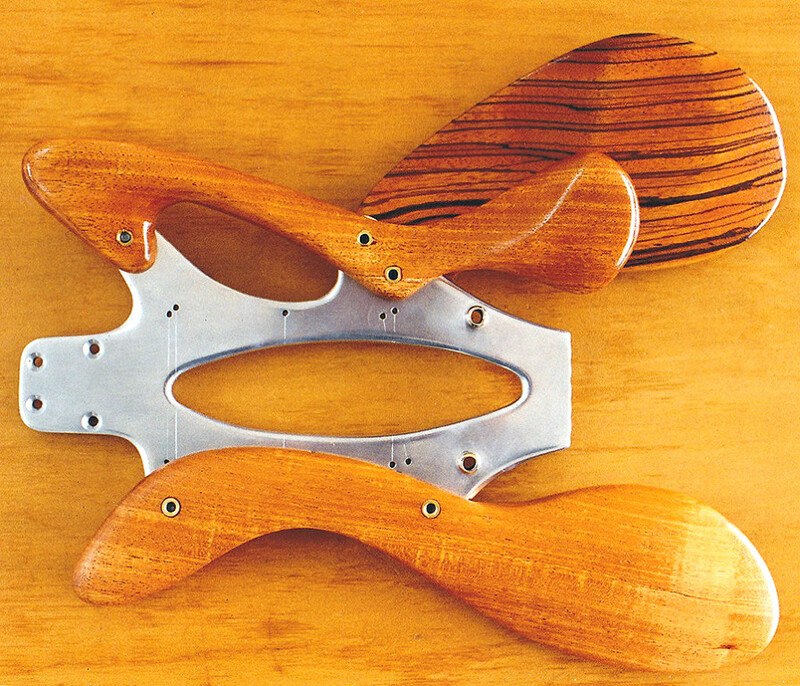 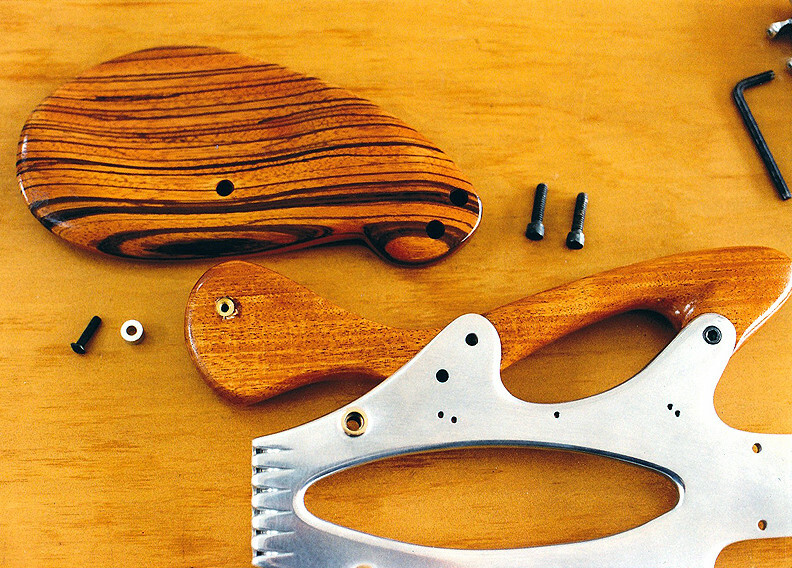 The sculptural aspect of these instruments, with the basic structure solidly centered around the aluminum mounting plate, provides me with a lot of freedom in using and shaping various woods. 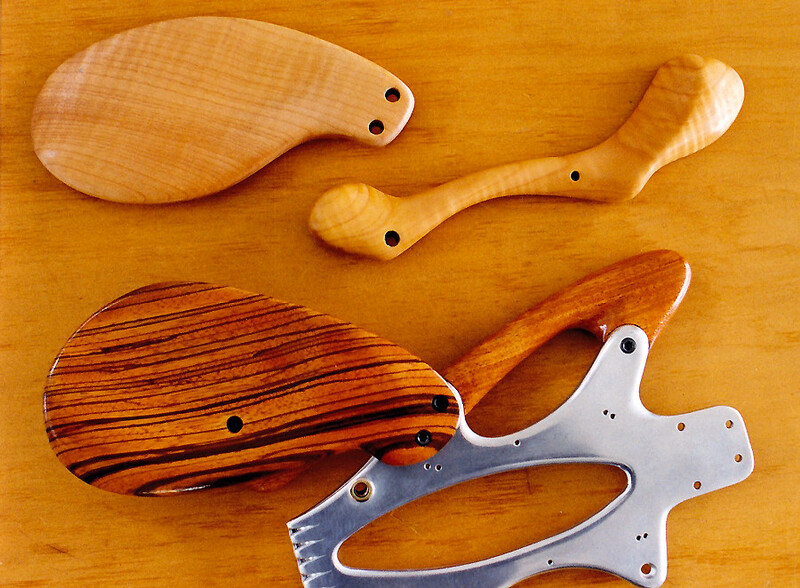 I can use pieces that are too small or irregular for conventional bodies, maximizing their figure and texture. 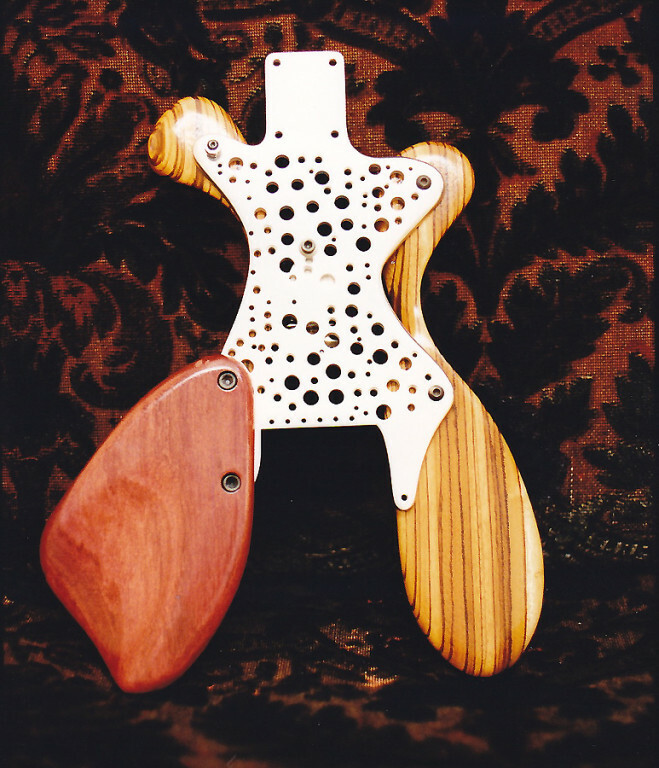 The ergonomic shape is designed to mesh with the player's body and provides support in the right spots. 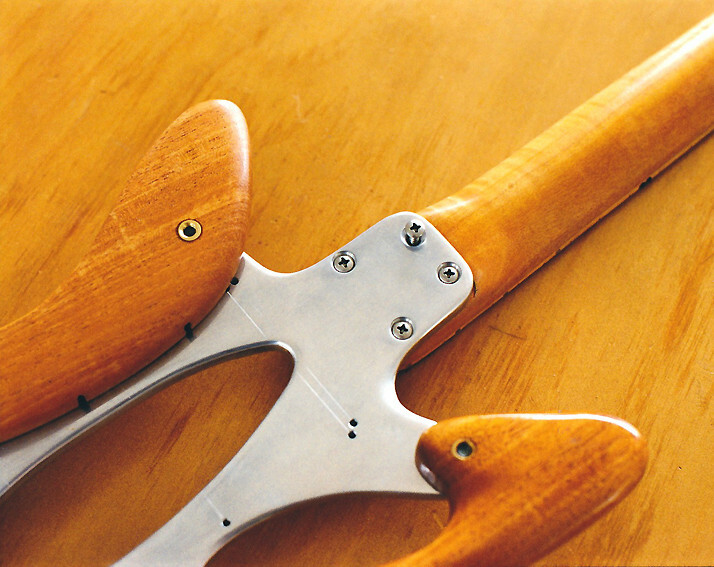 The upper body wing can be adjusted to optimize the fit. 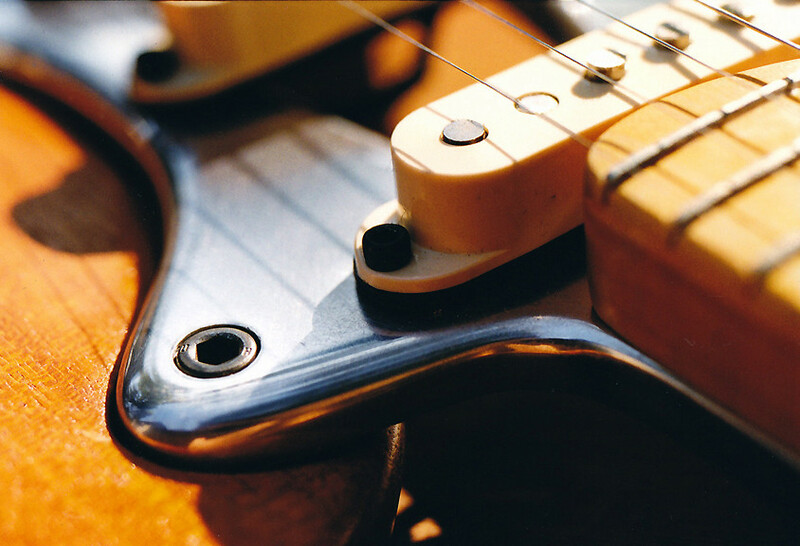 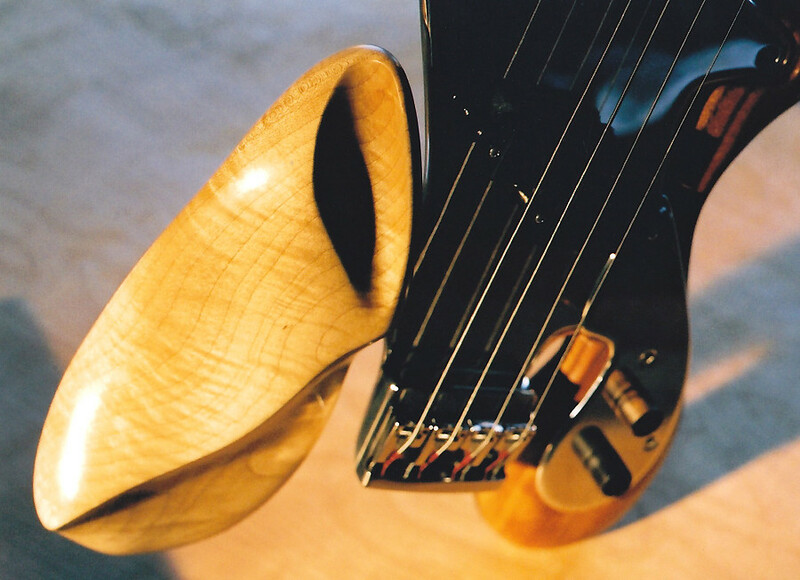 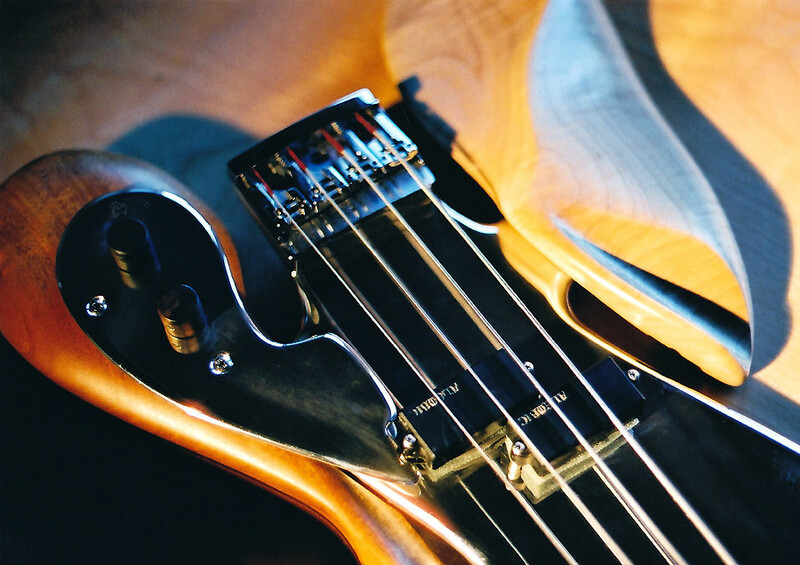 All hybrid necks have a two-way truss rod and reinforcing graphite bars for stability. 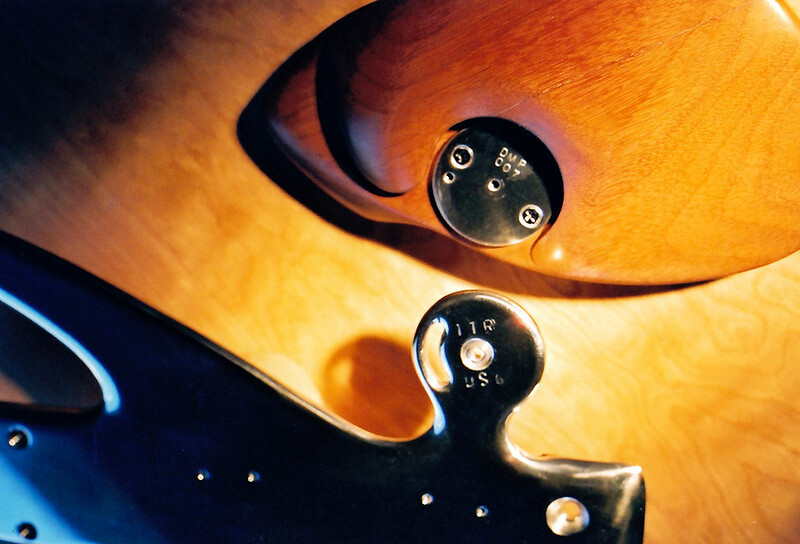 Connections are held in place by machine screws. 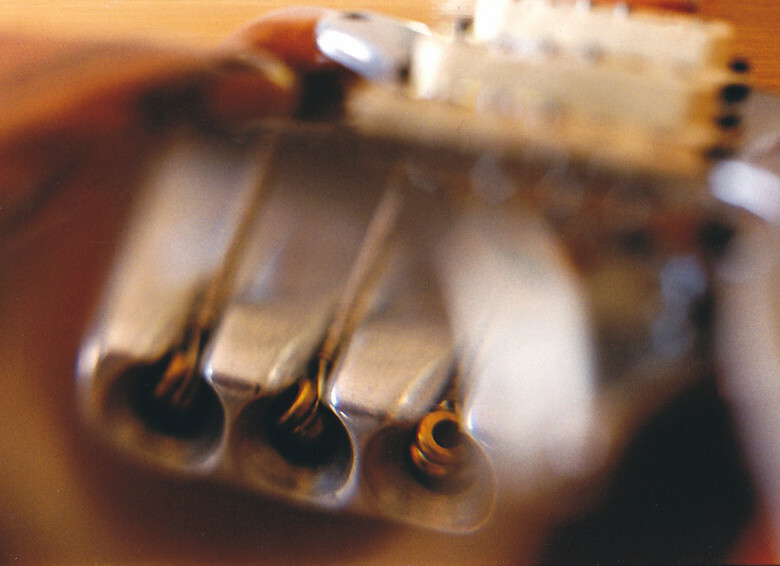 Despite the use of metal the instruments are usually on the light side.